Liquid Finish Detailing offers Opti Coat Pro services for the Raleigh, Cary, Durham, Chapel Hill, Morrisville, Wake Forest, Holly Springs, Apex, RDU, RTP, and North Carolina Area. Optimum Polymer Technologies has developed Opti-Coat as part of their wide range of advanced polymer technology and specialized revolutionary car care products. Opti Coat (Opti-Coat, Opticoat, OC) is a hard-wearing, aftermarket, ceramic clear coat for superior resistance to scratching (9H) and chemical etching from environmental impacts. It provides permanent protection for all factory paints, and can also be applied to exterior glass, metal and hard plastic surfaces. Formally understood as a “ceramic-silicon carbide clear resin coating”. As a permanent coating it outclasses waxes, sealants, glass coatings, PTFE, nano sealants, and many conventional protective products. Opti Coat Pro (OCP) is a restricted product only applied by factory approved detailers who have demonstrated the skill and are authorized by Optimum Polymer Technologies. 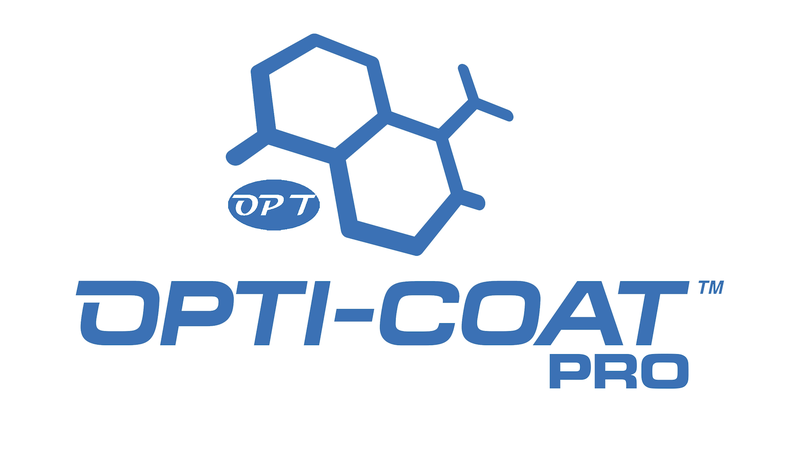 Opti Coat was originally distributed as a general mass market product. It is often confused with Opti Coat 2.0, which was readily available to any consumer. Initially Optimum did not differentiate their professional and consumer based coatings, which led to huge price variances and improper installations. 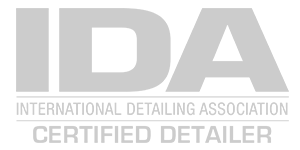 Gloss Coat is now the official and newly improved version of Opti Coat 2.0. OCP comes with a 5 year warranty, has a more liability, a multitude of performance advantages, and higher costs. Where can you apply the coating? The coating can last theoretically for the lifetime of the vehicle since it does not break down like normal conventional waxes or washing. We recommend an evaluation to reapply after 3-5 years dependent on proper maintenance. The coating will contaminate overtime so it must be decontaminated. Proper safe wash maintenance is essential to prolonging the coating lifespan. When should you Opti Coat? Ideally the best time to apply would be a new car purchase where the vehicle is untouched. Since the vehicle is as close to perfect, minimal effort is needed to apply the coating. Opti coat applies best with a perfect finish free of swirls, scratches, etching, contamination, and anything that hinders proper bonding. Opti coat can seal imperfections and become a permanently sealed in creating a lack luster appearance. Opti Coat a vehicle if you lack the time to maintain your vehicle frequently & if you want maximum protection over appearance. It is a “permanently easy to clean surface”. How do you apply the coating? The surface has to be as perfect as possible, proper paint correction is necessary to prepare a perfect surface. We cannot emphasize how important the surface has to be clean, flat, and ready to absorb the coating. Essentially you are paying for the preparation of the coating versus the process of applying the coating. In our system, we spend 90% of the time getting the vehicle ready for Opti Coat, and 10% ensuring Opti Coat applies correctly. the coating will be cure after 30 days with exposure to UV & heat. Do I need to maintain the coating? Absolutely. It is recommended to do normal detailing procedures such as regular proper safe wash maintenance, decontamination, and adding wax protection. Your detailing cycle is less intensive, so a regular clay bar and deep cleaning is needed far less. Can you remove Opti Coat? You can remove the coating with wet sand, extreme compounding, and the most common problem: straight abrasion. Abrasion can occur from dealership brush washes, body accidents, brushing against trees, brush, or concrete. Basically anything rough that could damage normal paint can severely damage the coating. Will Opti Coat protect against everything in the world? Opti Coat is basically extra paint on your vehicle. In some cases severe etching, scratching, and wear & tear can occur on the coating. Just think of Opti Coat as an additional sacrificial layer of paint.